As mentioned in a prior post, I had to be coaxed into going to the SBL/AAR annual convention, for the academic scene basically turns me off. I observe PhD’s in Biblical Studies not doing their job and reflexively think, What excuse in this modern day and age do you have for perpetuating groundless delusions among your students? I realize that this is not entirely fair, for some committed professors are not tied to a theological agenda. They are few, however, and their voices are drowned out by the hordes of propagandists who—you guessed it—annually populate the halls of SBL mega-conventions. Even fine professors, unfortunately, often have a laissez faire attitude and don’t realize the uniqueness that attaches to either their task or to the privilege of being at such conferences. Thus, Mark Goodacre can write, “It’s awful to say, but eating and drinking really is the heart of SBL.” How sad. Mega-convention is the right word for the SBL, for everything about Chicago 2012 was BIG. 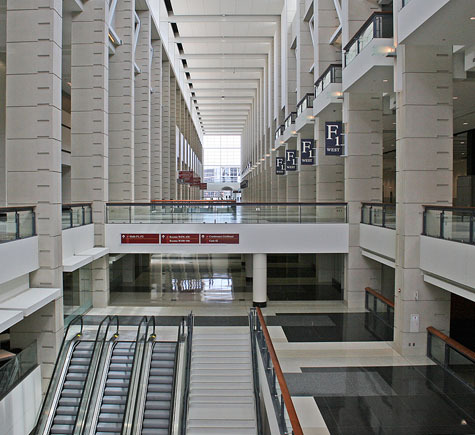 The McCormick Place Convention Center is America’s largest and is made up of four massive buildings connected by skybridges. It advertises 2.6 million square feet of exhibit space, 173 meeting rooms (none small), four ballrooms, four theaters, and 6,000 parking spaces. If you saw Barack Obama’s recent acceptance speech on TV, then you’ve seen the McCormick Place South Building’s colossal ballroom, one of the largest in the world. The SBL program schedule allowed a half hour between meetings—and that was not too generous, as most scholars looked quite lost scurrying along hallways that sometimes extend for a quarter mile, like ants in a huge concrete anthill. It could take fifteen minutes to walk from one meeting room to another—if, that is, one was lucky enough to know exactly where one was going. “How do I get to room N-124?” I recall asking an information clerk. The convention lasted three and a half days and my Nazareth talk on was the first morning (Saturday). I almost missed it, because a half hour before speaking I found myself stranded miles from the convention center waiting for a bus. No one told me that Chicago buses hardly run on weekends—once an hour if you’re lucky. As it happened, a rare cab happened by and serendipitously dropped me off outside the precise room where I was scheduled to speak. If I believed in god this would definitely constitute divine intervention and I would forthwith discontinue this blog and renounce all interest in Jesus mythicism forever. Have no fear, however. I walked in as Bob Price was finishing his talk, “Fraud and imposture in the New Testament.” Gee, I was even eight minutes early. I have uploaded my talk here (PDF). It basically updates the contentious back-and-forth over Nazareth archeology. As far as I can tell, the presentation was well received by the fifty or so scholars in the room. Other than Bob P, I didn’t recognize any faces. After the talk Hector Avalos and I shook hands for the first time. He had originally invited me to speak at SBL and considers himself an “agnostic” regarding Jesus’ historicity. 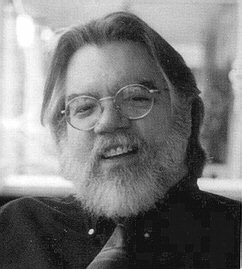 In our present cultural environment, agnosticism is probably as close as many professors can get to mythicism without doing irreparable damage to their reputations. Bob Price, John Felix, Geoff Tolle, and myself had lunch that first day together. Bob was unfortunately in great pain, suffering from a severe case of shingles and had to return home the next day. But I appreciate the opportunity to exchange some precious words with him. We share the view that Jesus mythicism is on the upswing, not only in North America but also in Europe. Particularly encouraging is recent interest shown by the old guard of European minimalists: Philip Davies, Niels Peter Lemche, and Thomas Thompson. The coming year may well see a deepening of those connections. Geoff and I visited the book exposition at the central pavilion of the convention and I managed to come away without spending a nickel. I was surprised to see Wipf & Stock so well represented, with one of the largest exhibit spaces and with hundreds of religion books on display. I also understand that company gave the best “party” at the convention. I’m a little spoiled, for W&S is located in my hometown, Eugene (Oregon), only a few blocks from where I live. I’ve watched the company grow over the decades, and frequently visit their fabulous bookstore located in the basement of a nearby building and quite invisible from street level. It is indeed one of the best theological bookstores in the world. I was also surprised to see a large exposition by the University of the Holy Land (UHL), so active in opposing my revolutionary view of Nazareth archaeology and evidently very well funded by conservative interests in the West. For UHL involvement with the Nazareth Village—a resort “recreating” the village of the time of Jesus—see my Scandal Sheet Five and also the video by James Randi, Questioning the Bible. I shook hands with Claire Pfann, “Dean of Academics” for UHL and wife of the Director, Stephen Pfann. She had come a long way from Israel to be in Chicago, and the shock on her features when she read my name tag was precious.